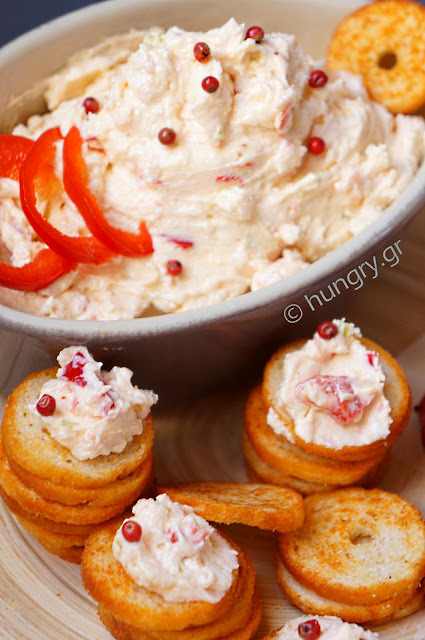 Ideal appetizer, excellent taste to combine on your table with Tyrokafteri (Spicy Feta Cheese Spread), that is as hot as we like. 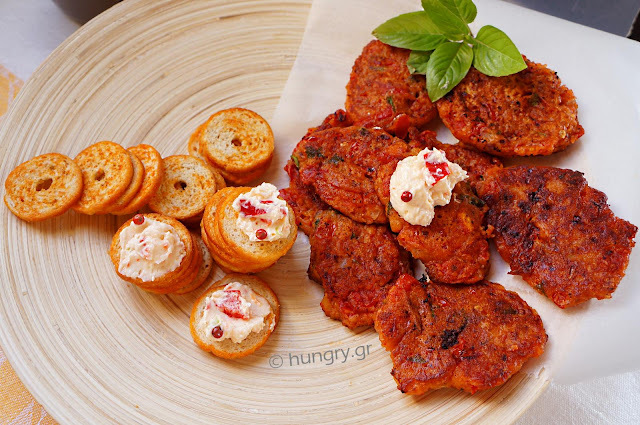 Accompany your appetite with beer or raki, without excluding a good red wine. Tomatoes ripe, tasty and bright red are joined with the aromas of basil and mint, that's all. 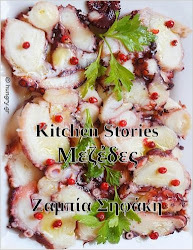 They do not need anything else to make a scrumptious appetizer except, perhaps, by a homemade spicy cheese dip, with lovely soft feta of Kefalonia, with its velvety taste and texture and of course… french fries! 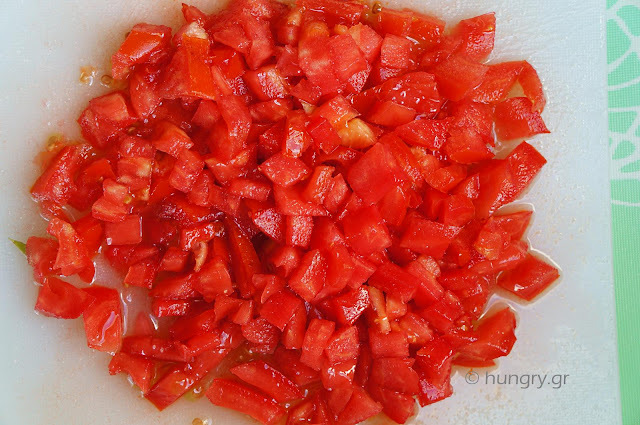 On a cutting surface finely chop the tomatoes and put them in a bowl along with their juices. 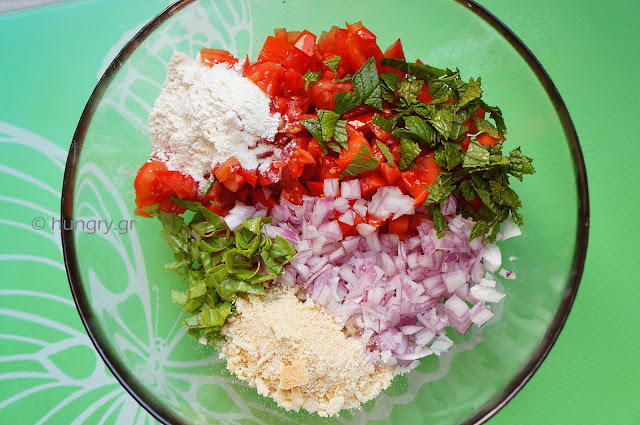 Inside the bowl, add the onion, the crushed slices, the chopped chili pepper, the chopped leaves of herbs and 3 tablespoons oil. 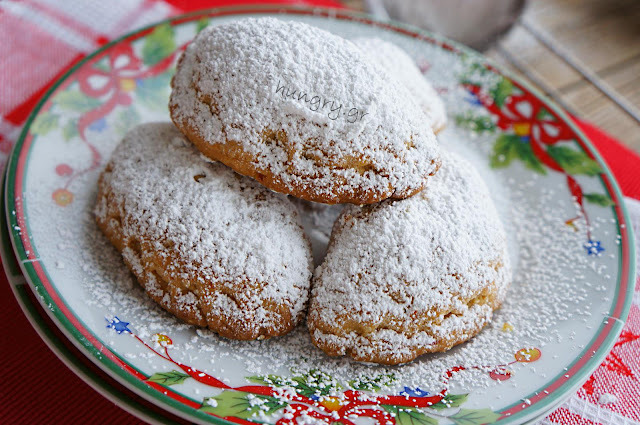 Mix the flour with the baking powder in the bowl and pour about half the amount of it. 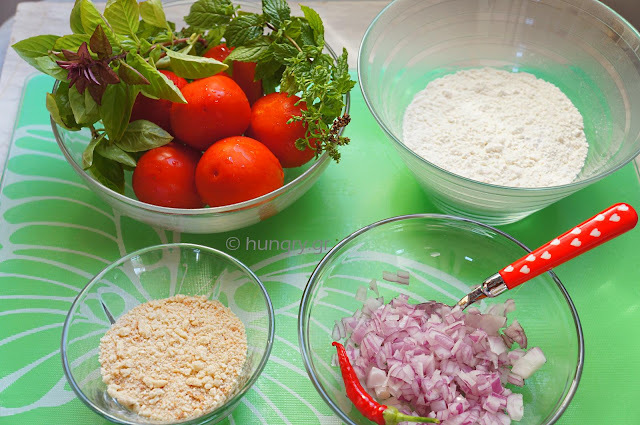 You will add flour during the shuffling enough to make a firm mixture. 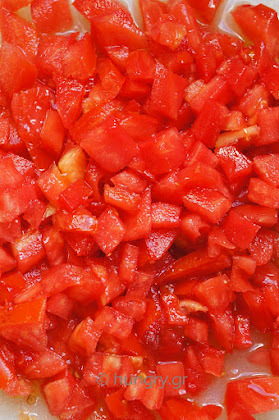 Mix well with a spoon, pressing the tomatoes to melt. Salt and pepper. 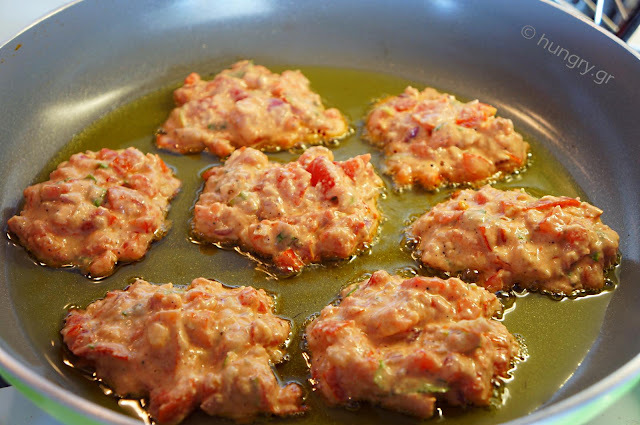 In a nonstick pan, add a small amount of olive oil. 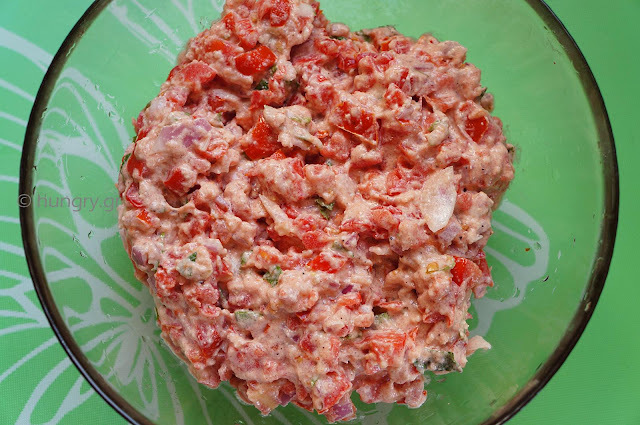 Let it burn well and add spoonfuls of the mixture of tomato balls spaced. 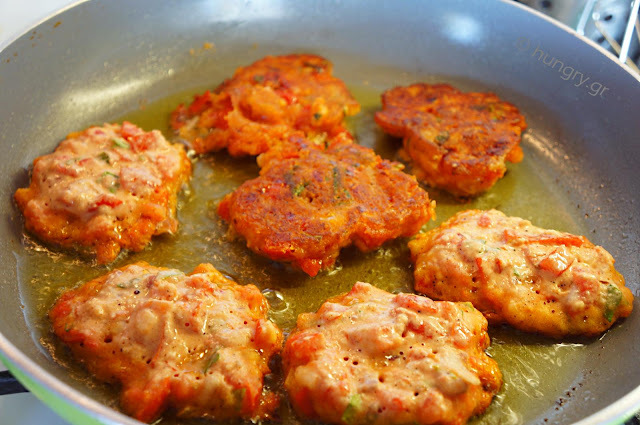 Turn carefully the tomato balls, having cooked the bottom surface and the margin around each meatball is golden brown. 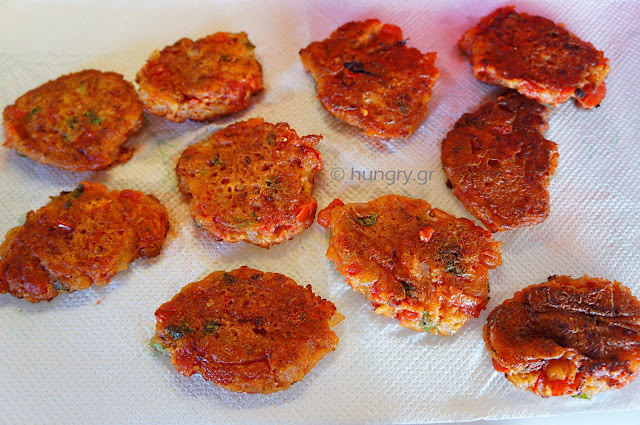 Remove the tomato balls from the pan and place them up on absorbent paper towels. They are ready to be eaten. 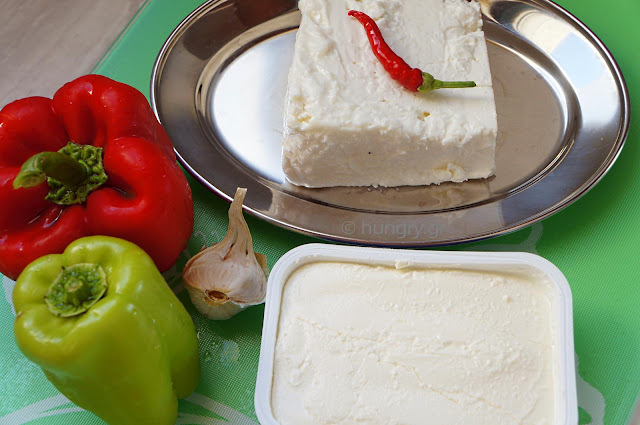 In food processor put the feta, peppers coarsely chopped, half the chilli pepper, the clove of garlic and 3-4 tablespoons of oil. 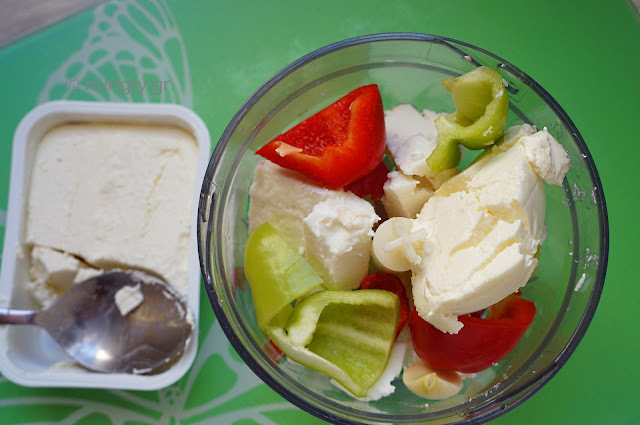 Also add 2 heaped tablespoons cream cheese and if necessary correct the taste, adding a little more. 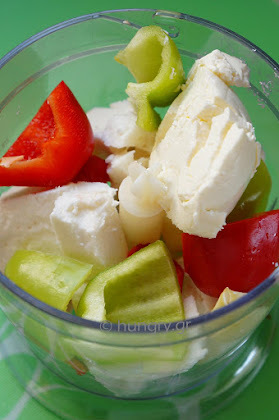 Beat the ingredients in blender to become a homogeneous and fluffy mix. Serve in bowls and put in the refrigerator. 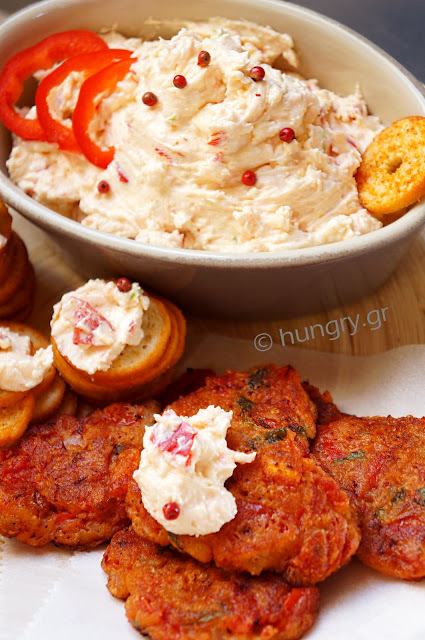 The Spicy Feta Cheese Spread (tyrokafteri) accompanies perfectly the tomato balls and not only. 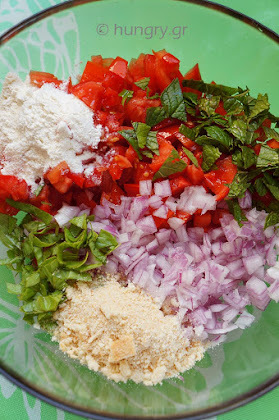 If we, after beating in the food processor, add the chopped mixture with the knife, little red & green pepper. 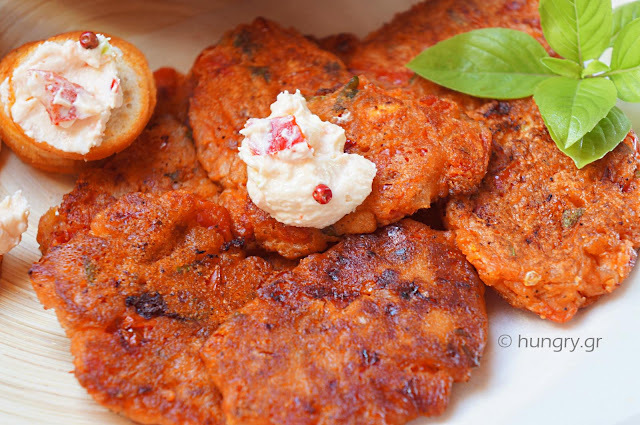 Zucchini Fritters, delicious, light, and enjoyable with fresh herbs, fragrant mint, and feta cheese. 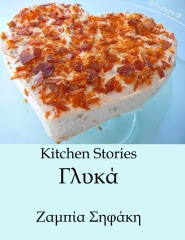 Tasty appetizer, which can accompany a main dish, but just as enjoyable as a snack for drinking ouzo, along with the unique flavor of Tzatziki Dip. 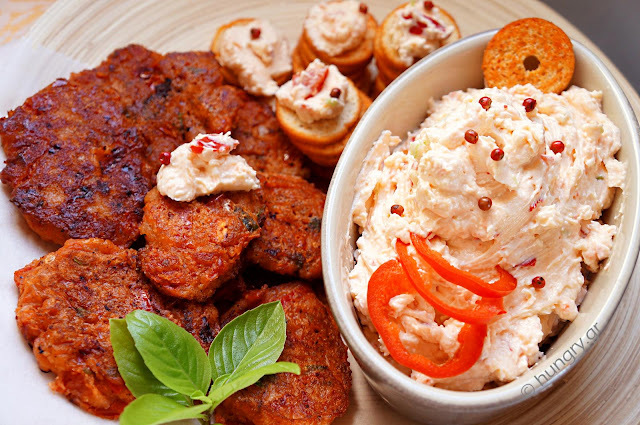 Tasty cod croquettes served, with garlic dip, with enough garlic as stand your taste and stomach. 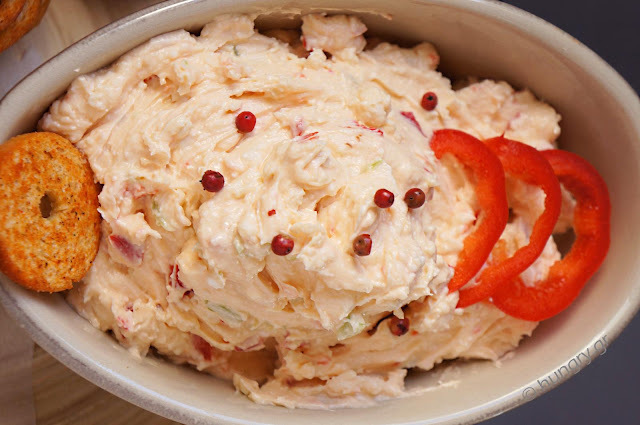 No more credentials are required to convince you of this well-known and simple dish appetizer/ snack. Mashed potato, onion, parsley, olive oil and crushed coriander seeds is the successful combination of materials, which gives us a delicious effect.